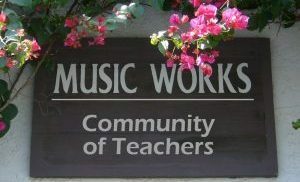 MUSIC WORKS COMMUNITY, in the Phoenix valley since 1974, was formerly known as Music Works Academy. 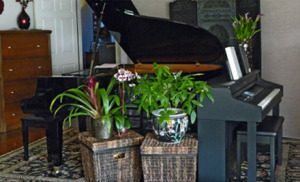 MWC is an association of music teachers dedicated to providing quality music instruction and offering year-round lessons and classes in piano, guitar, voice and beginning strings for all ages. In addition, the PRELUDE Piano Program offers small-group piano classes to PreSchool – First Grade students. A Music Education TechTime Lab is an additional component beyond the weekly lesson that is available to piano students during the MWC academic school year. The Prelude Piano Program offers small group piano classes to PreSchool, Kindergarten and First Grade children ages 3 – 6 at Music Works Community. Two 15-week semesters per academic school year provide 4 – 6 children age-appropriate musical experiences. ShiningStars classes for PreSchool students (3 – 5) have four – six children. LeapFrog classes for Kindergarten and First Grade (5- 6+) have four children. MWC offers year round, weekly Piano Lessons Monday – Saturday to all ages, from preschoolers to senior citizens. 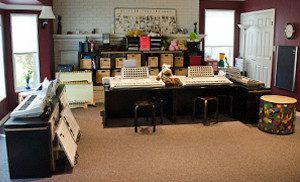 Several lesson formats are available: Private, Piano Partnerships, and Parent Piano Classes. 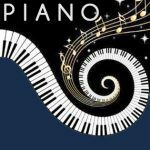 Piano study includes all levels of repertoire and all styles of music. Year round private study in Voice, Guitar and Beginning Strings is offered Monday – Saturday. MWC welcomes beginners as well as those who want to take their singing and playing to a new level. Voice lessons at MWC include a wide variety of genre including sight singing, improvisational and jazz, broadway and show tunes, and folk songs. 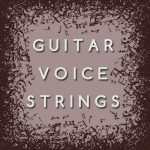 Guitar lessons are offered on both acoustic and electric guitar as well as bass guitar.